The controversial street patrol group, who rose to prominence last autumn claiming to keep women safe from immigrants, has been losing members and is riddled with internal conflicts. The claims are based on interviews with sources close to the organisation, and conversations seen by Yle on the group's leadership's private online message boards. Last autumn the phenomenon of uniformed patrols claiming to keep the streets safe from immigrants spread around the country, and even across Finland's borders. 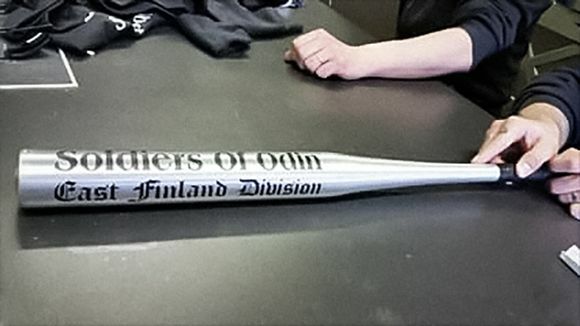 But now, insiders claim the Soldiers of Odin are haemorrhaging members. The group had previously declared they are active in 27 towns across the country. Yle now understands that patrols in a number of these, including Pori, Kouvola, Heinola and Lahti, have stopped outright, while in Tampere, Oulu and Kemi, the scale of patrols has wound down significantly. Yle has seen the leadership group's internal Facebook messages, which paint a picture of an organisation gripped by internal squabbles. Whereas the chat page had 80 members in November, that had gone down to 50 by the end of May, with about 25 active posters. "Unmarked patrols and zero tolerance"
"Can someone explain why this message board is losing members every day? A bit worrying," one member writes. The group has consistently denied it is a racist organisation which endorses violence, insisting they are "immigration critical" and that they maintain safety on the streets. However, the Facebook chats seen by Yle - in common with previous online posts which came to light in March - call that into question. "Let's have unmarked patrols, and zero tolerance for dark skin," one suggestion on the page reads. "Just to be sure, go out and hammer anyone..."
There is particular anger expressed in the conversations against the anarchist group who ransacked the group's Tampere clubhouse in May and talk of how to get revenge on other detractors, including the woman who trademarked the group's name for a company selling unicorn-themed clothing. "Just to be sure, go out and hammer anyone who even leans to the left," deputy chair Jani Valikainen advises on the Facebook page. Comments on the page suggest that for many people who put in time and money to support the Soldiers of Odin, enthusiasm is waning. "I'm physically, mentally and economically worn out," one member complains. Yle has also learned that a number of the groups' leaders are drug users. Yle has confirmed from several independent sources that hard drug users are involved in SOO activities in many towns, including Kemi. 17:11 Clarified that this is a chat group of SOO leaders; added drug use and attributed quote to Valikainen.